Here it is in a nutshell: these are the best tyres I’ve ever tested. They’re so good that in the course of a one-day race meeting, consisting of two 15-minute qualifying sessions and an 18-lap race on the Donington National circuit, I can’t honestly say that I found their limit or truly got a handle on them. The step up from the Metzeler Racetec slick I’d used the previous time out, let alone any treaded tyre, is too great to fully understand without more time. On one hand, I felt like I was going fast and I was pleased with my pace (1m13s) and positions, but on the other hand, I never seemed to be pushing the tyres that hard. It was a strange sensation. 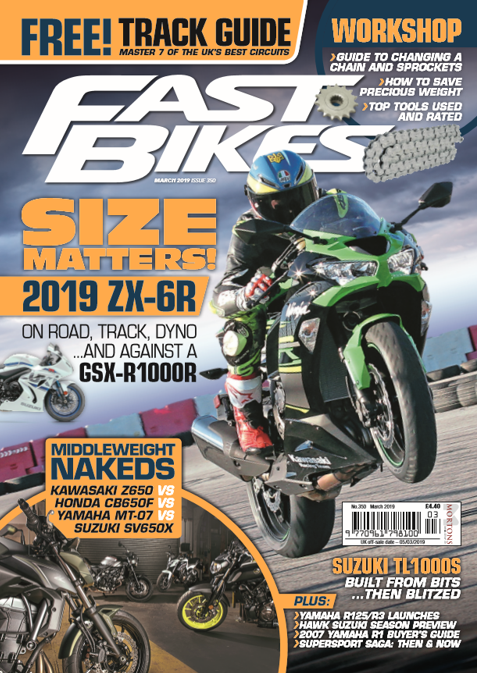 The sizes look weird compared to road tyres – 125/80 and 195/65 – and they made me worry about what they’d do to the balance and handling of the bike. I’ve experienced race tyres that steer so fast it’s scary and tie bikes in knots. They’re surprisingly neutral though. The only real negative is that you’ll struggle to fit standard tyre warmers round them. Dunlop have more intimate knowledge of more circuits than anyone, so they can always give good advice on compound choice and set-up. For my event, they weighed up the bike, expected temperature, and track knowledge, and selected a soft 6178 front and a relatively hard 7704 rear. They worked perfectly, and the wear patterns backed up the choice. I was impressed to see the amount of personal advice being given out from the Dunlop truck through the day. Technically, these slicks are similar to the D211GPs that impressed me so much at Pembrey earlier in the year, and Dunlop pride themselves on that rapid transfer of technology from prototype Superbike slicks to production treaded Supersport hoops. The fronts use Triple-Tread Compound, with the stronger centre compound also running underneath the soft edges to provide extra stability.